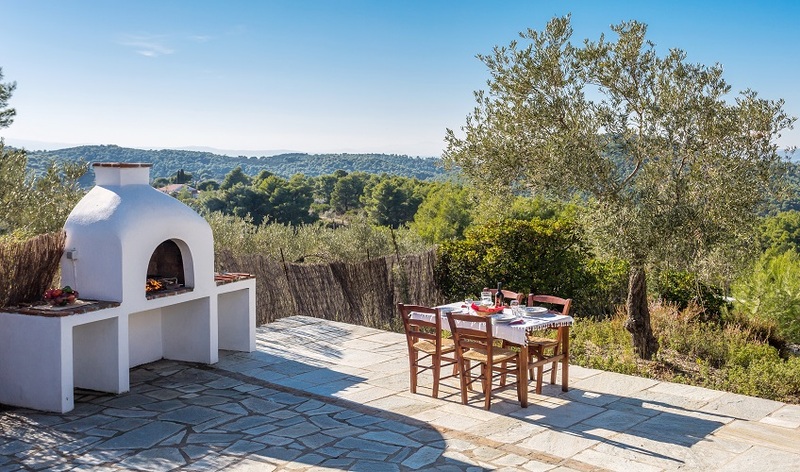 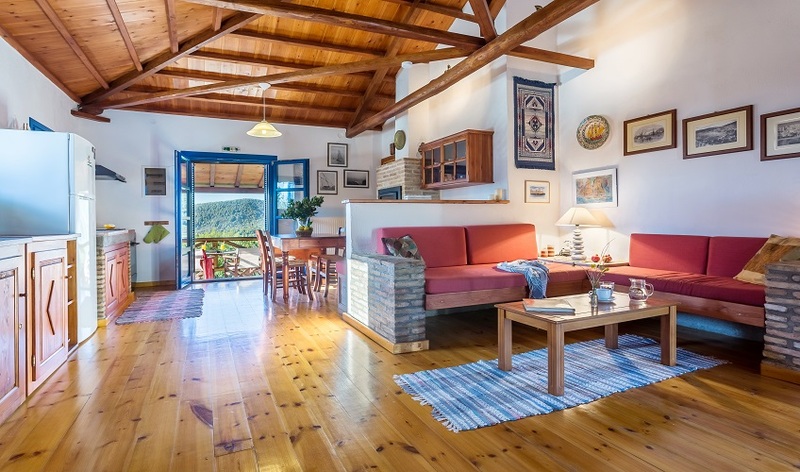 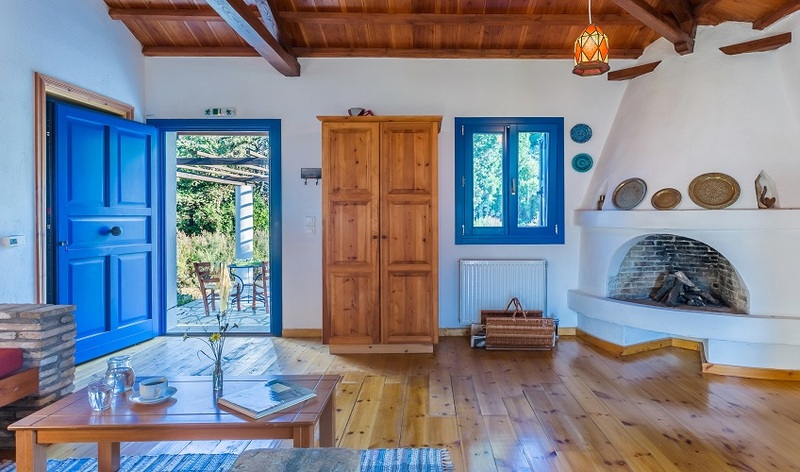 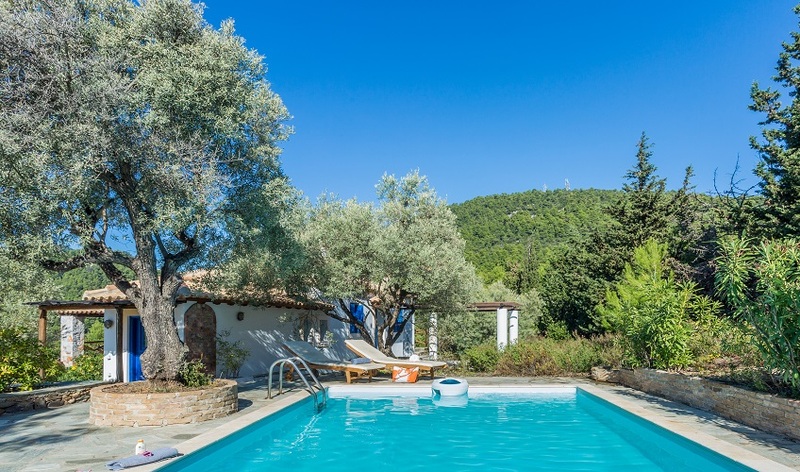 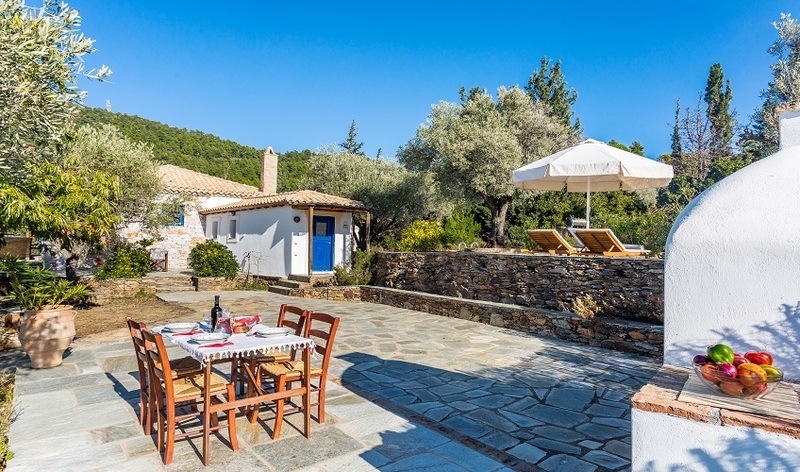 Villa Koumaria is set in rural Skopelos, just a short drive to some of the island’s finest beaches around Panormos. 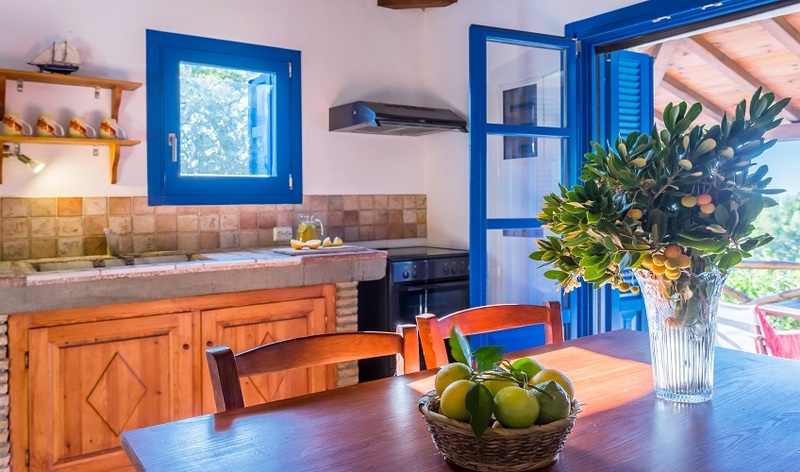 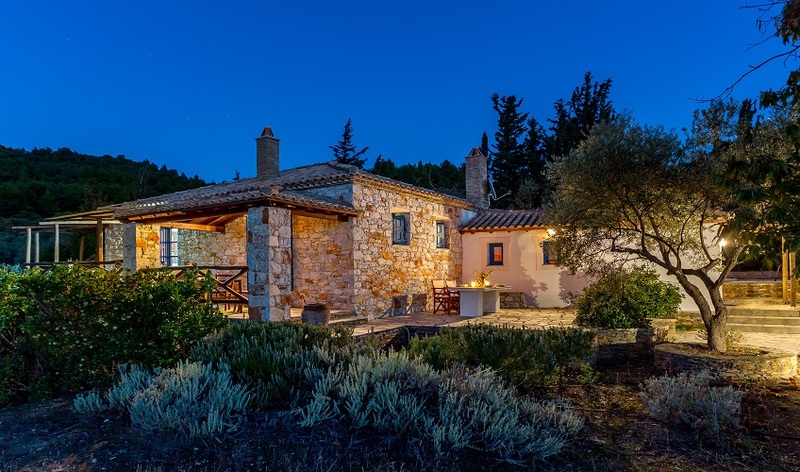 Villa Koumaria is set in the countryside about 500 meters off the main road that runs the length of the island. 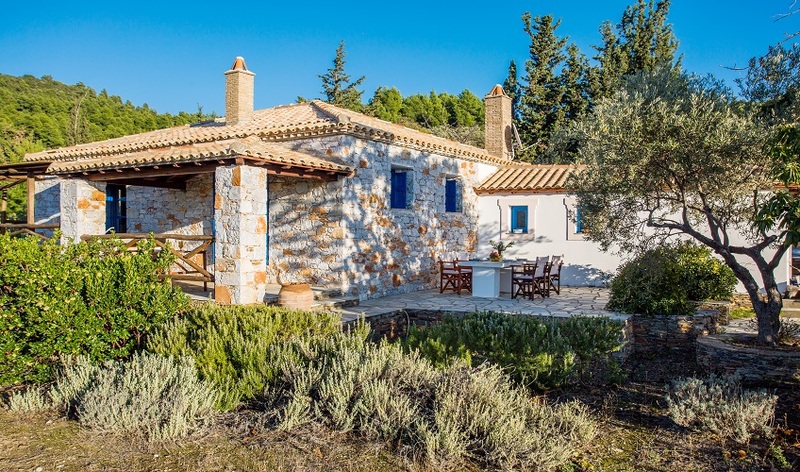 A ten minute drive brings you to some of the island’s best beaches in the area around Panormos. 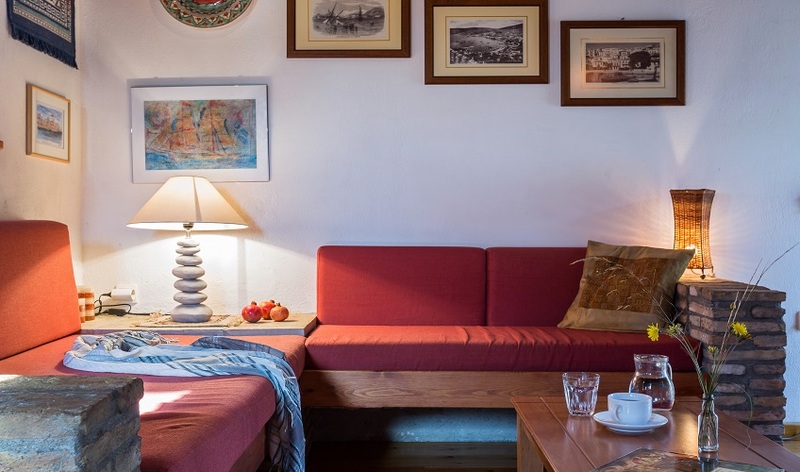 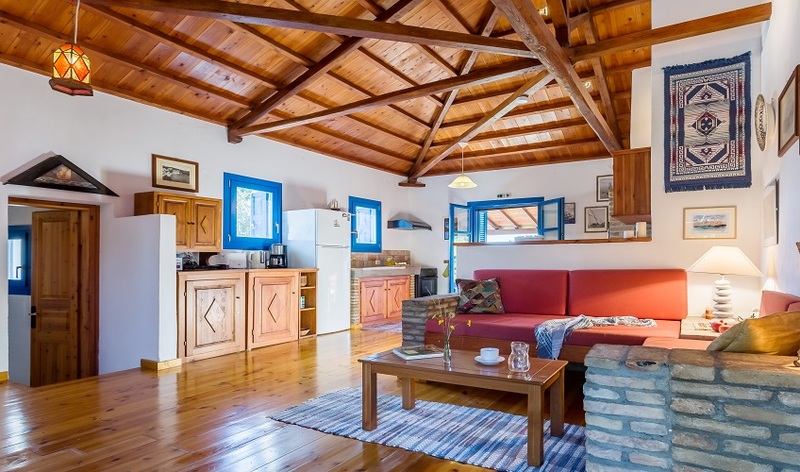 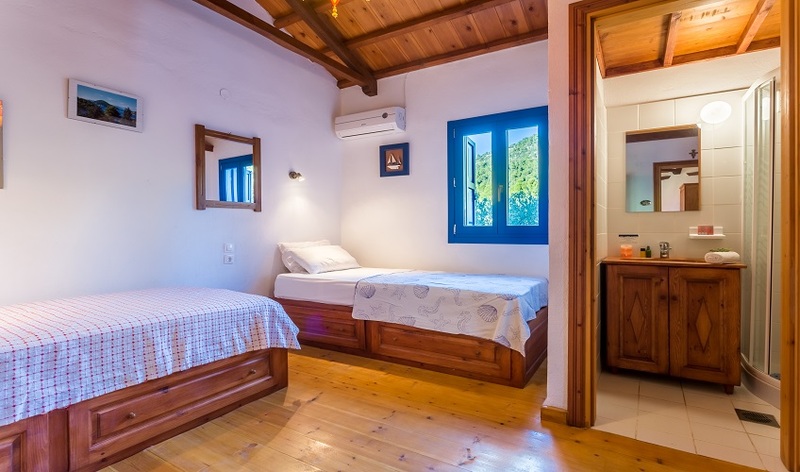 The villa has two-bedrooms, wooden floors and traditional wooden ceilings throughout. 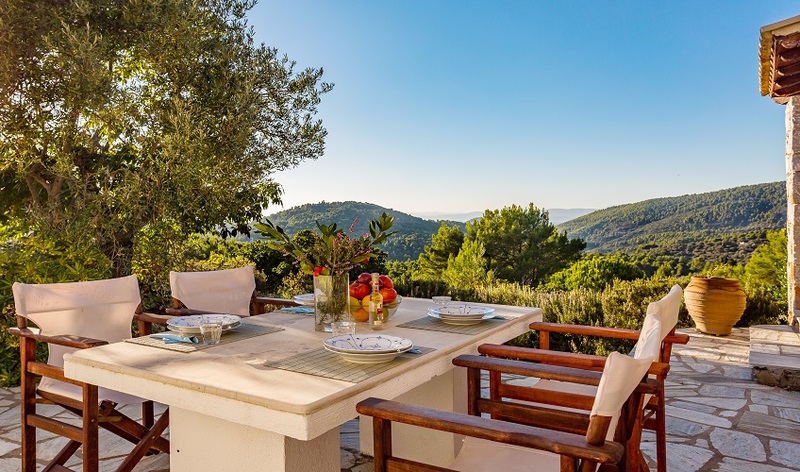 The dining area is conveniently situated opposite the fully equipped kitchen with full cooker and Skopeliti marble sink, where French windows lead out to a covered terrace should you wish to dine al fresco whilst enjoying the stunning views. 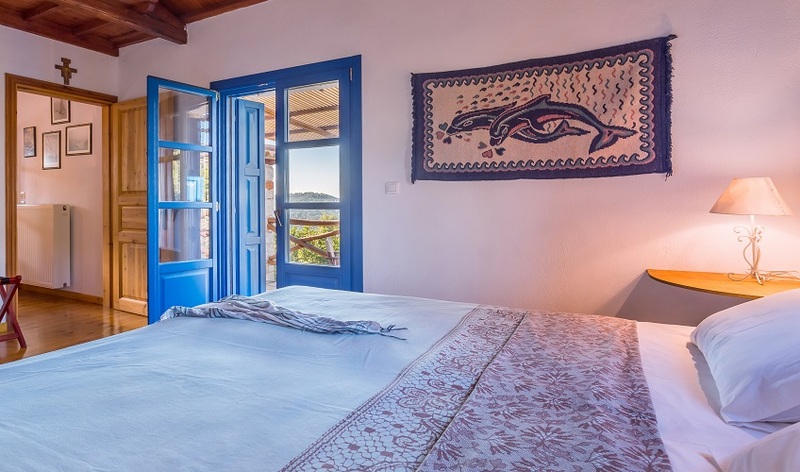 Both bedrooms lead off the open plan living area; the double bedroom has French windows onto the terrace and sea views, whilst the twin bedroom has its own shower room (no w/c). 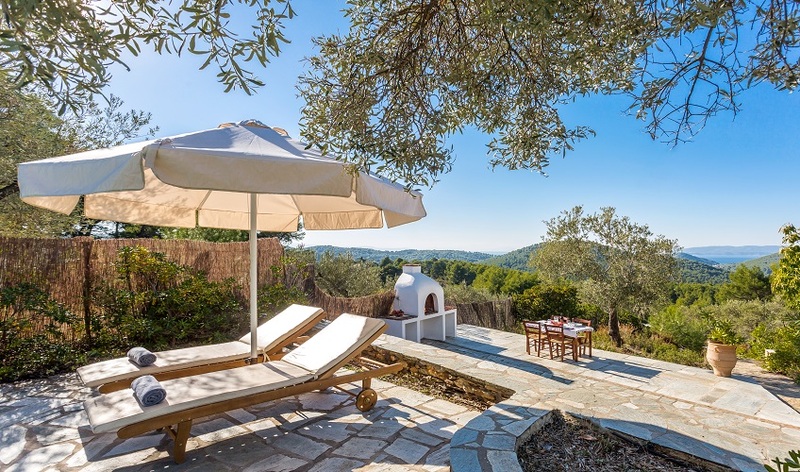 A paved path from the parking area leads up to the large sun terrace to the side of Villa Koumaria and then to the good sized swimming pool set amongst the trees where all you are likely to hear is the sound of the birds and cicadas. 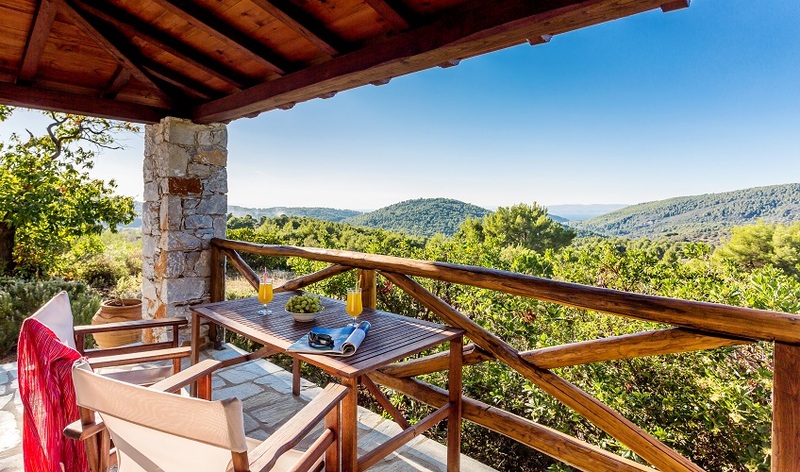 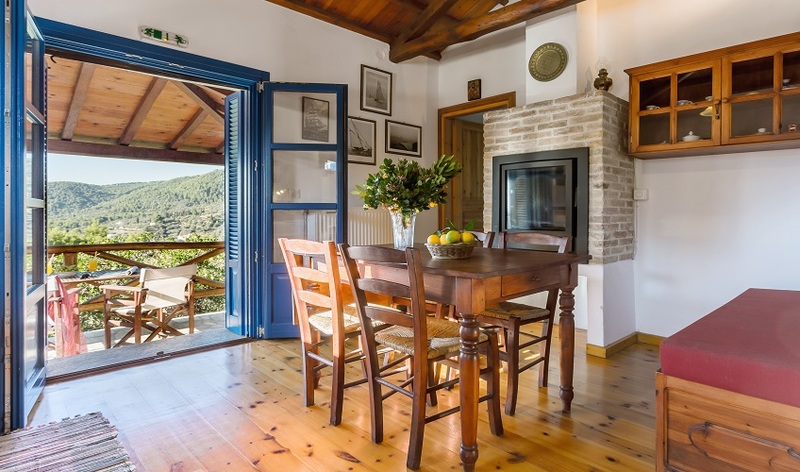 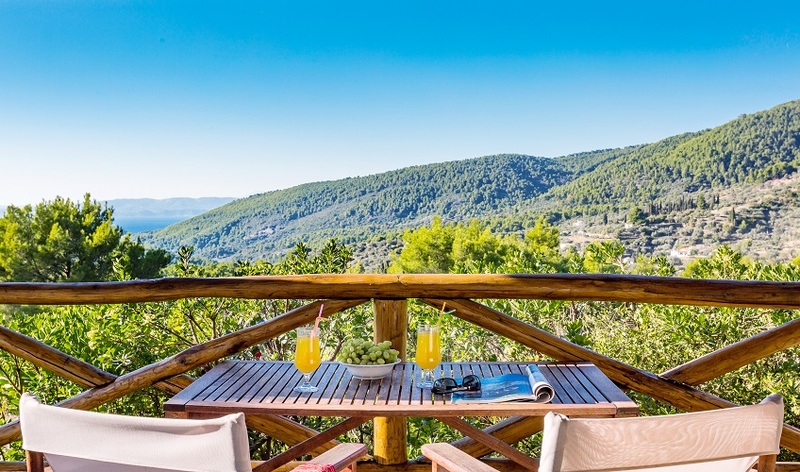 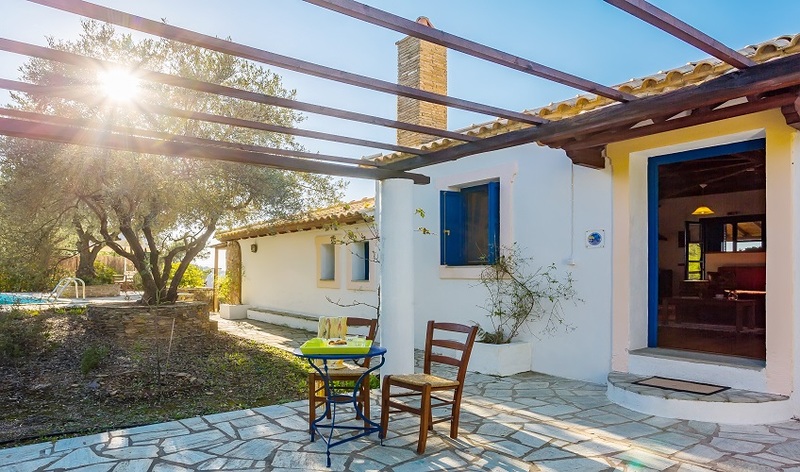 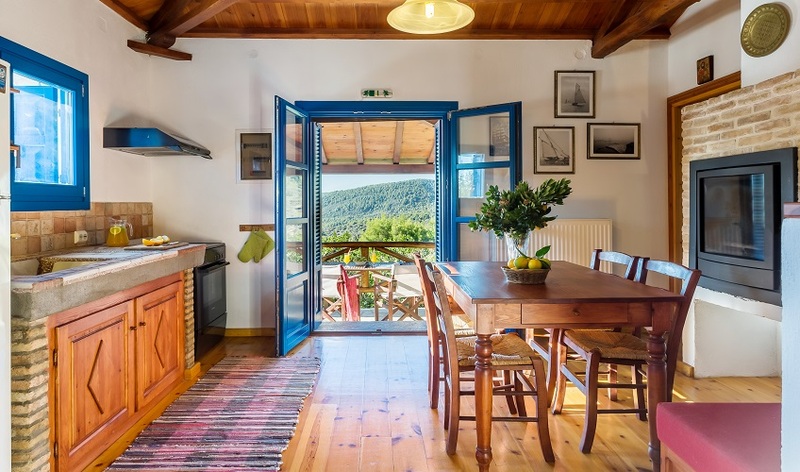 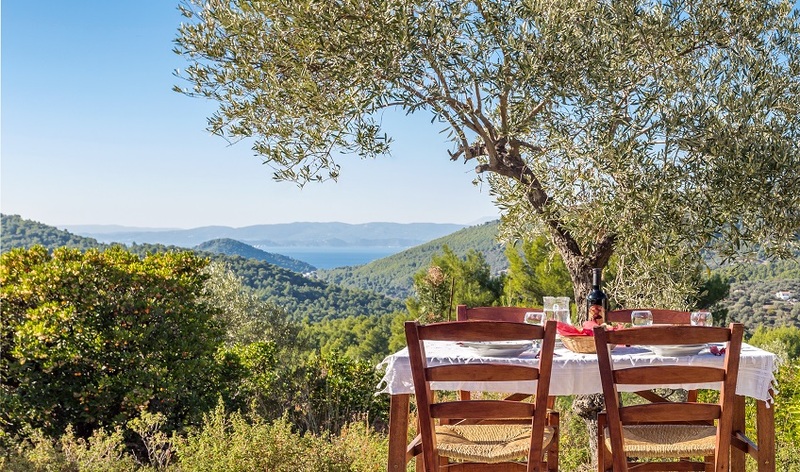 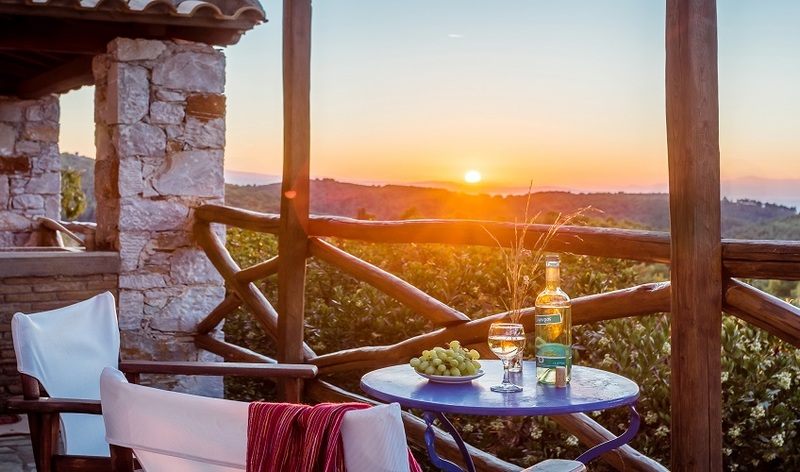 To the front, the villa has a covered terrace where you can enjoy a drink whilst admiring the wonderful views over the sea to Dassia Island or sit relaxing with a good book. 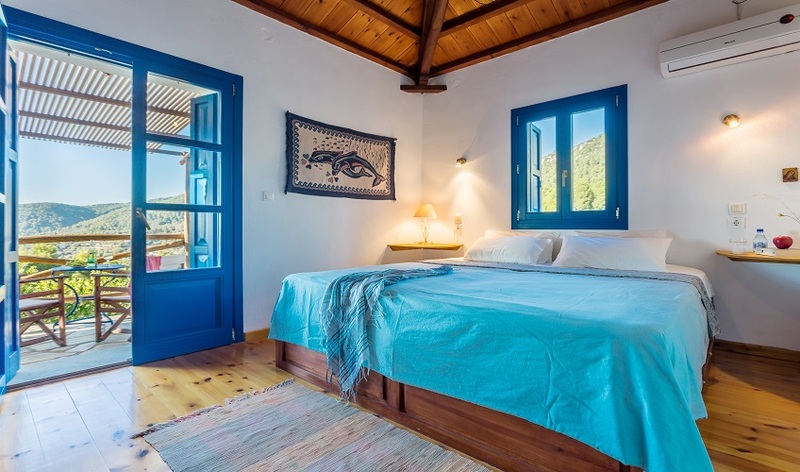 Villa Koumaria is great choice for couples wanting a holiday in the Skopelos countryside with the privacy of their own swimming pool. 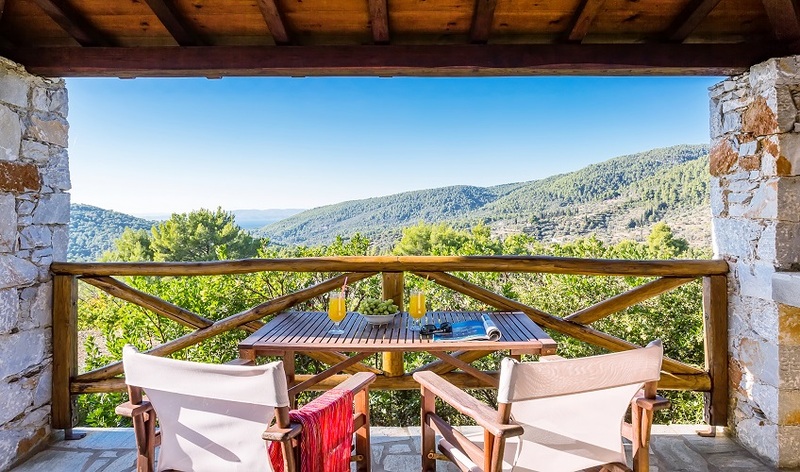 Families too can enjoy the natural surroundings the location offers with plenty of space to explore, but still close enough to the islands best beaches and restaurants.